I think we need to leave Dad. I know that he doesn’t mean to be angry at us – but he is “out of control” with his drinking and abuse. When I heard him hit you last night I was in the corner of my closet – crying. I wanted to stop him, but I was scared. I knew he would hit me, too! Today, I decided to make a bold move and I told my teacher what happened. She sent me to see our Guidance Counselor who was really nice. The counselor told me that she is going to call you and discuss with you a place called WINGS. This is a special organization that can help by getting us away from Dad and to a place that is safe. I heard that there are a lot of programs to help you feel better and even get training for a job! You always wanted to become a nurse and now maybe you can! I didn’t know what to get you for Mother’s Day, so I thought that this first step would be the best gift. You deserve love not bruises. The above is a letter from a child to his/her parent that is totally fictionalized. However, as a School Psychologist who has worked with children from abusive homes, I know firsthand that this could have been a real note written from any number of my former clients. Domestic violence is a serious problem in this world and WINGS has taken to trying to help women and children within their reach. I first learned about WINGS via my colleague Margaret McSweeney and then from Rebecca Darr, who is CEO of this organization. 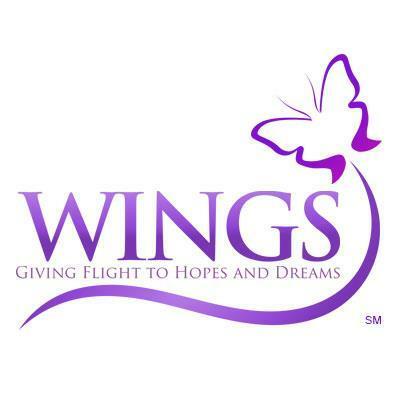 I learned that WINGS is making incredible strides in helping empower women via their mentoring programs, working closely with wrap-around services with families and educating men in order to ‘break the cycle’. WINGS is now hosting a campaign that is to spread awareness about their services, as well as raise funds for their new facility in Chicago. This campaign is the #WINGS2beBOLD program. Anyone can participate in the various parts of #WINGS2beBOLD campaign. CELEBRATE THE WOMEN IN YOUR LIFE this MOTHER’S DAY! #WINGS2beBOLD also is a campaign designed to honor our amazing women for Mother’s Day. Women who are spectacular, courageous, motivated and BOLD! These are the women who we live with, love and want to honor or remember their memory. Today, I took a step to be BOLD and join this campaign by sending to my Mother a card from WINGS. The Mother’s Day card (pictured below) has seeds embedded in the butterflies and can be planted. (Note to my Mom – wait until the snow melts in Western New York, first!) It felt good to send a gift to my Mom that will help another Mom – someone I will never meet but needs help, all the same. You can help too! Simply go here to contribute to WINGS and with every $50 donation you will receive a butterfly card, too! (offer good through Mother’s Day 2016). Also, know that WINGS will continue their programs in Chicago and then soon will expand beyond the state of Illinois. They are seeking to connect with people who would make great partners for their team. Recently, I had the pleasure of introducing them to Linda Benecke from Damsel in Defense. Hopefully, this will be a “match” that sticks! How to connect with WINGS? Want to be part of the #WINGS2beBOLD campaign? Show your BOLD by donating any amount here! NOTE: If you are in immediate crisis and/or feel threatened, please seek immediate emergency help in your area.